It is said that for one to be continuously good in his or her craft, he or she must put in the work and the hours it entails. It’s a never-ending quest for development, thus training for it shouldn’t stop. Without meaning to, I failed to pick up a paintbrush and paint the entire year of 2016 because of reasons. 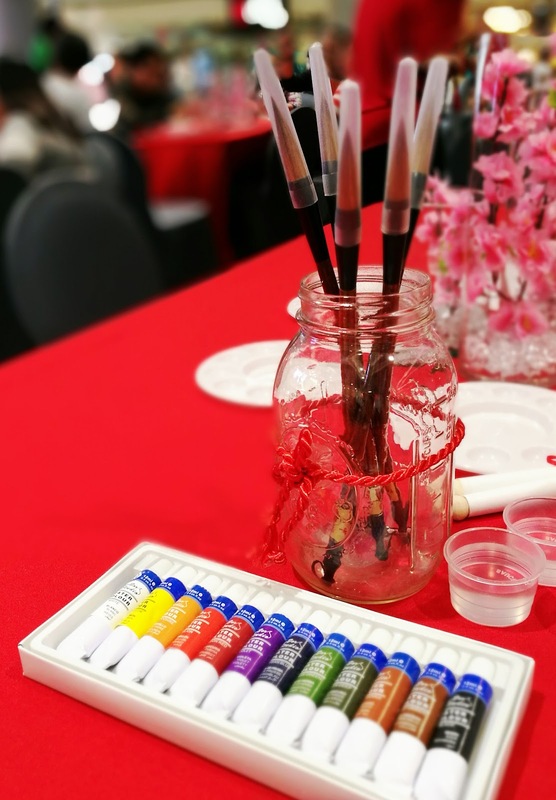 I was too busy with work, with my social life, with a host of different things that I missed tapping into my #KrissyfiedMakes persona and see where my palette of paints could take me. 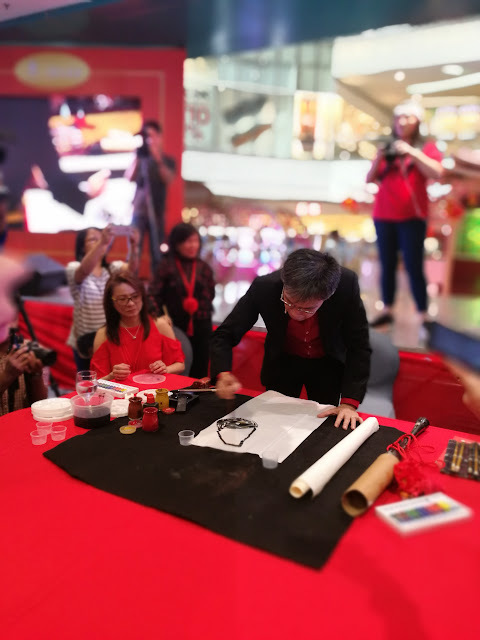 It was because of this that I slightly panicked when we were asked to pick up our paintbrush and scroll and try our hands on Chinese painting by no less than the Chan Lim Family of Artists themselves at the launch event of their exhibit at the SM North EDSA The Block Atrium. The Chan Lim Family of Artists has been engaged in the arts for close to half a century. In the present there are three generations of Chan Lim artists who use a wide variety of media, styles, and techniques to incorporate Western into Eastern art. The family continues to get involved in the arts by actively developing and promoting Chinese brush painting in the Philippines and abroad, and it was really an honor to have been invited to participate in this class and learn from them first-hand. 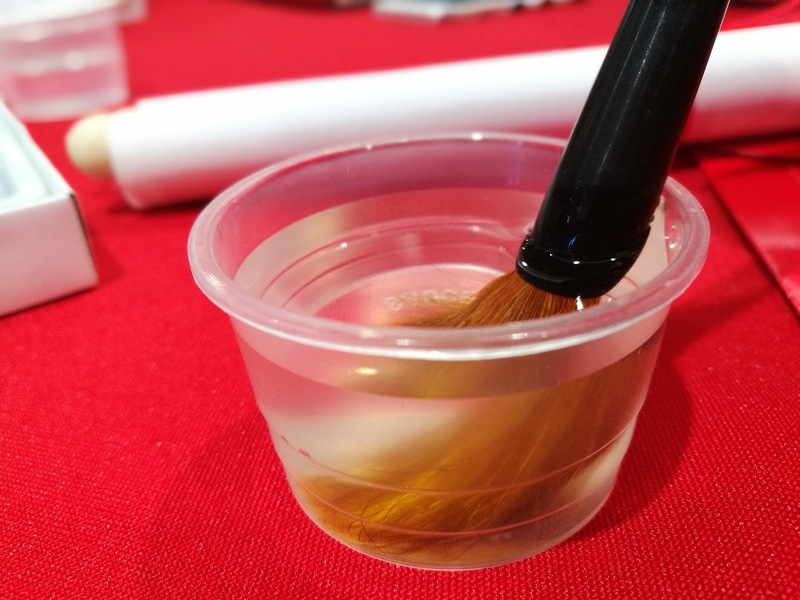 Before anything else, we were asked to dip our paint brushes in the water to remove its stiffness because of the glue. It’s one of my favourite parts when painting because a new paintbrush and a clean sheet of watercolour paper hold so many possibilities. It’s terrifying also, yes, but also very exciting. The Chan Lim siblings Alex, Felix, Rolex, and Jolex are all engineers by profession and are currently engaged in leadership positions with multinational companies. Bound by their passion for the arts, the Chan Lim family of Artists has conducted numerous art classes, workshops, seminars, and on-the-spot painting demonstrations. 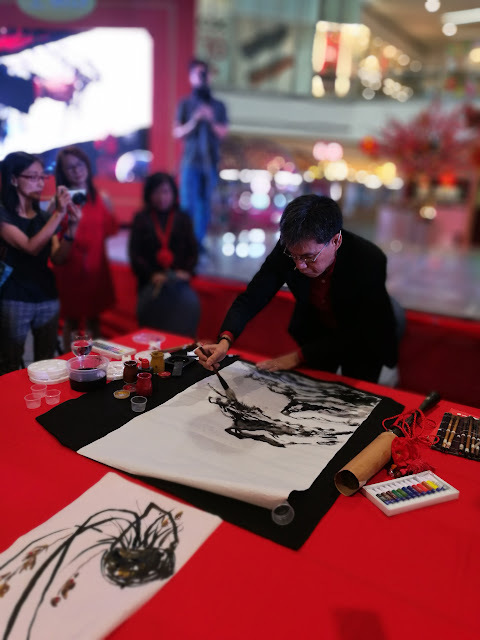 Mr. Alex Chan Lim, the eldest of the second generation, demonstrated how the rest of the afternoon would go with two impromptu paintings. 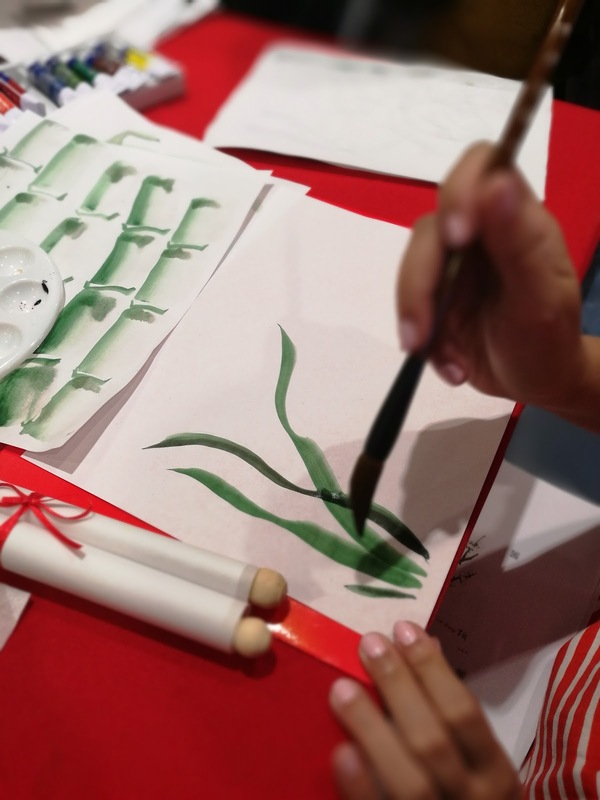 It was amazing how he was able to create two pieces of art with just a few brushstrokes and using just four colors! According to him, he didn’t even plan the designs; he just waited for a design to take shape and followed where that led! He also didn’t start with a pencilled illustration, like I do. I wish I have the same talent! He even afforded some questions from the press and guests. 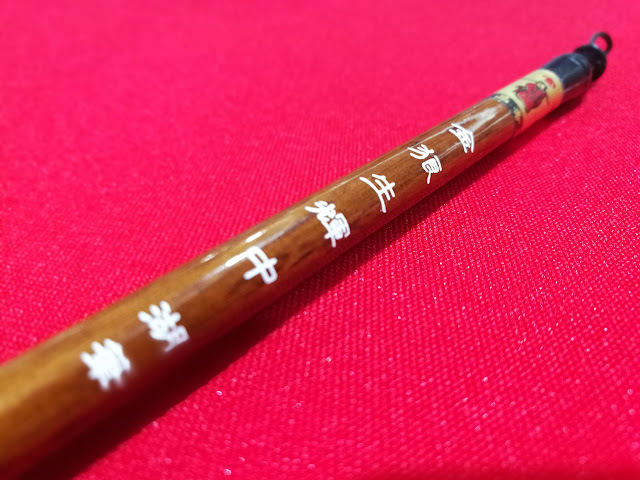 I participated by asking what differentiates Chinese artworks from other types, and he answered that the differences lie on the strokes and the materials used. 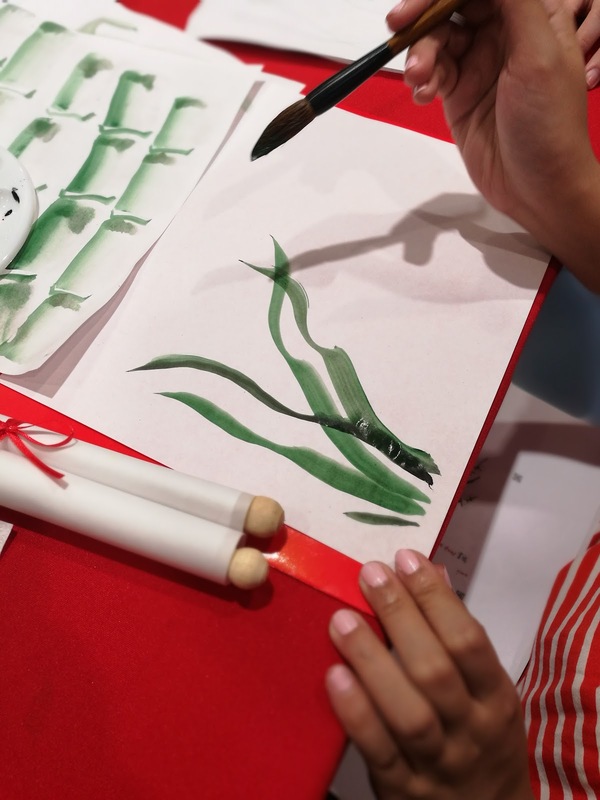 For example, rice paper is more commonly used with Chinese paintings. And then it was our turn! As expected, I was very rusty because of lack of practice. That, and the fact that it was my first time to use a Chinese brush. I’m used to watercolor brushes and the several sizes they come in, but it was more challenging for me to control the Chinese brush given to us that came in one size. 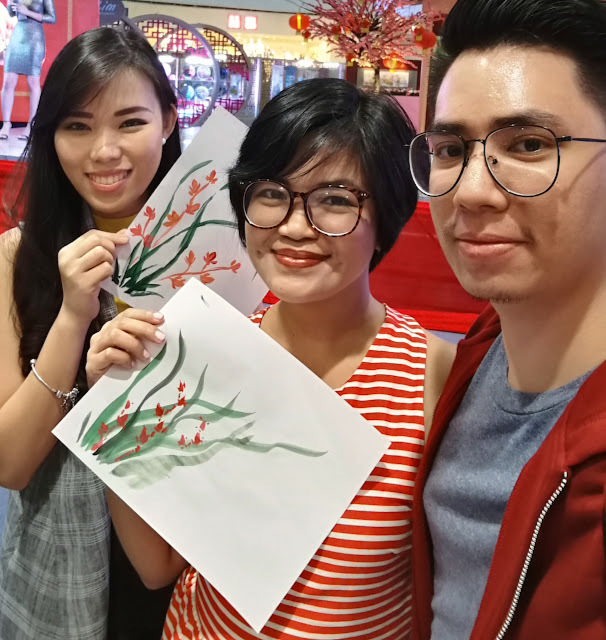 We were advised that if you can master the basics of Chinese painting then you can paint anything. These include bamboo, chrysanthemums, and lilies. I’ll show you some of my attempts, but promise me you won’t laugh? You promise? Okay. I think I can do better with the leaves next time provided I learn how to control my paintbrush better. 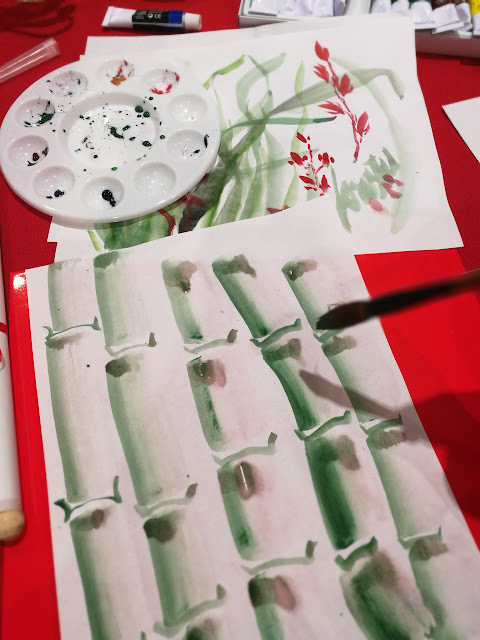 The bamboo shoots were much easier to paint, and I’d like to do a better version for my sketchbook. The patriarch of the Chan Lim family giving personal lessons while my boyfriend listens in. Meanwhile I was too busy concentrating on my strokes, LOL. Photo from the Chan Lim Family of Artists Facebook Page. 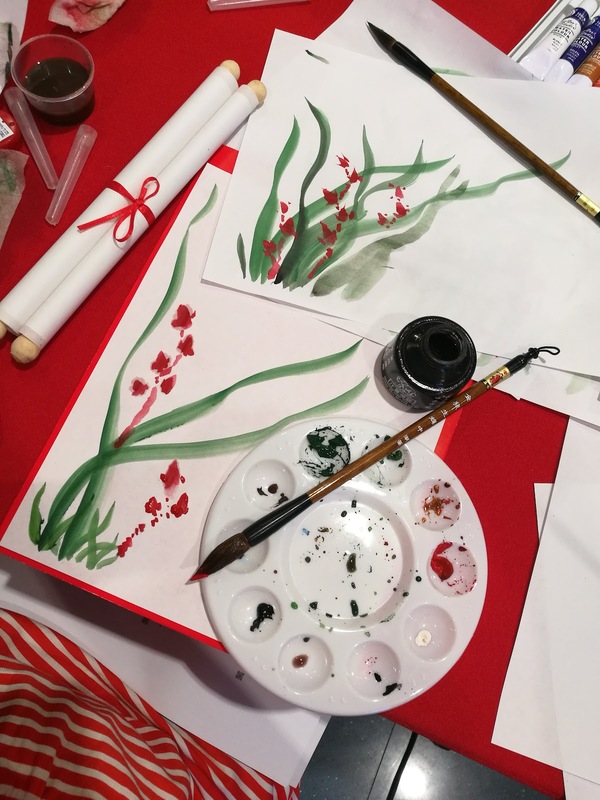 The passion of Chan Lim, the family patriarch, lies in Oil and Watercolor. While most of his art are on canvas, he has forayed into other media such as porcelain plates. Asian lanterns, and fans to infuse Western techniques into the traditional Eastern art. “Legacy. What is a legacy? It’s planting seeds in a garden you never get to see.” Thus laments Alexander Hamilton before taking the bullet from Aaron Burr’s gun in Hamilton: An American Musical. 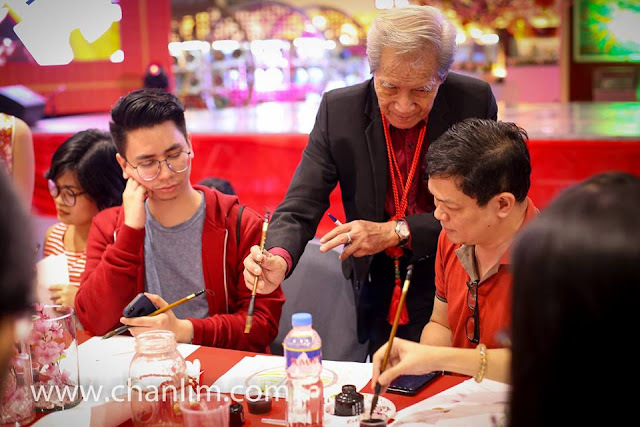 For the Chan Lims though, they are able to enjoy and share their legacy with the rest of us by joining several art exhibits locally and internationally. 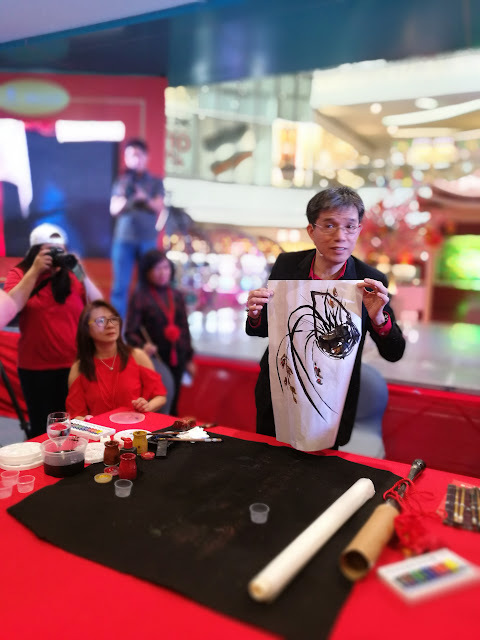 It’s admirable how passion for the arts runs in their blood and how the elder Chan Lims have successfully nurtured the artistic talents of the third generation. Nowadays the younger brood enjoys experimenting with different types of media along with modern digital techniques, and incorporates these into Chinese art. 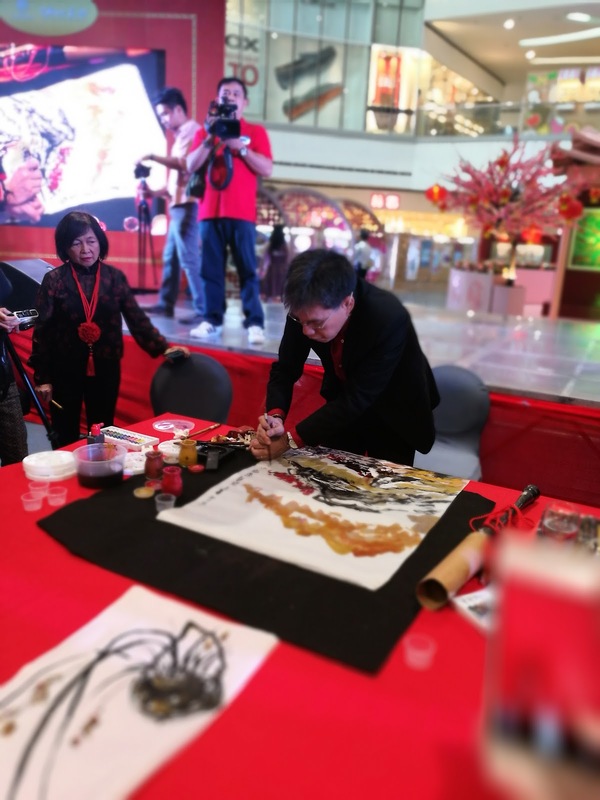 From January 15 to February 12, you may view more than 300 artworks done in porcelain plates and scroll and oil paintings prepared by the Chan Lim Family of Artists and Students at The Block Atrium of SM City North EDSA to celebrate the Chinese New Year this 2017. This is even more meaningful as this year celebrates Chan Lim’s 80th birth year, a very auspicious milestone in the Chinese culture. 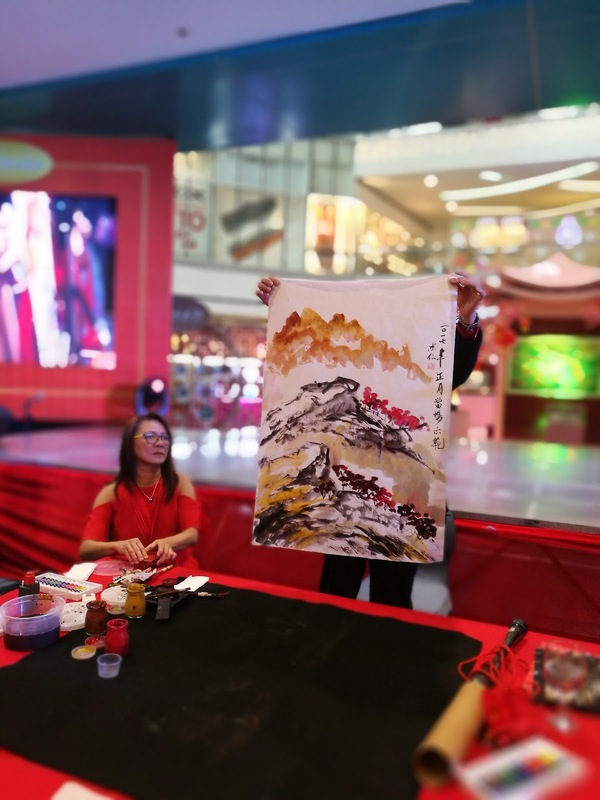 The Chan Lim family is one of the few remaining notable Chinese brush painting artists in the country today, and is sought after in this field. Art classes are conducted in the family studio located in Pasig City. 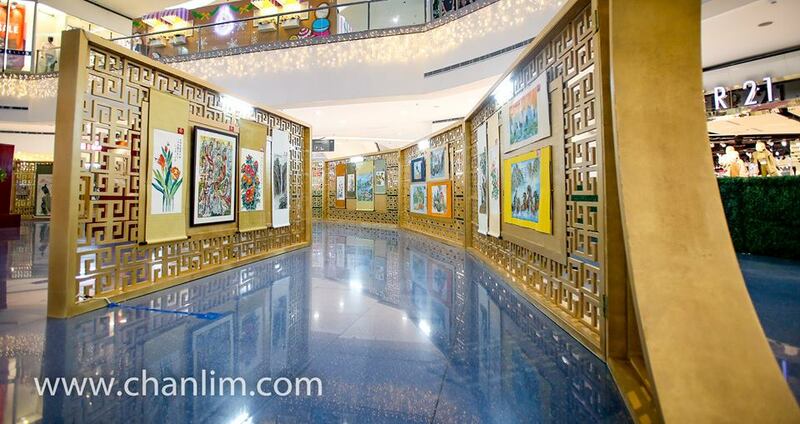 Their paintings can be found in private collections here and abroad. 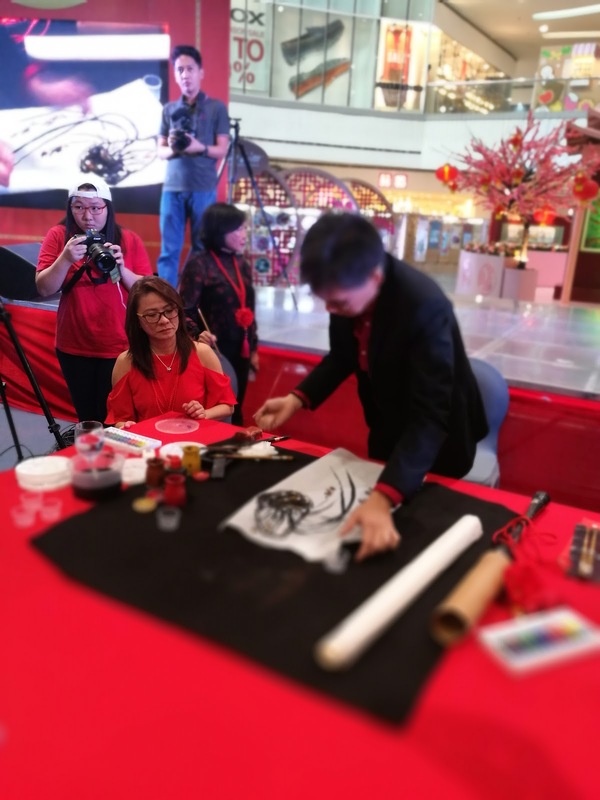 Much like the landscapes and flora and fauna they immortalize through their art, the Chan Lims also support several charitable organizations with a special focus on environmental sustainability. You may email them at chanlim@yahoo.com or view their artworks at their official website. If I put in the work, rediscover my skills, and get so much better at this, then maybe it’ll be my turn to hold an exhibit of my own in SM North EDSA The Block Atrium someday. Don’t hold your breath, though. Heh. 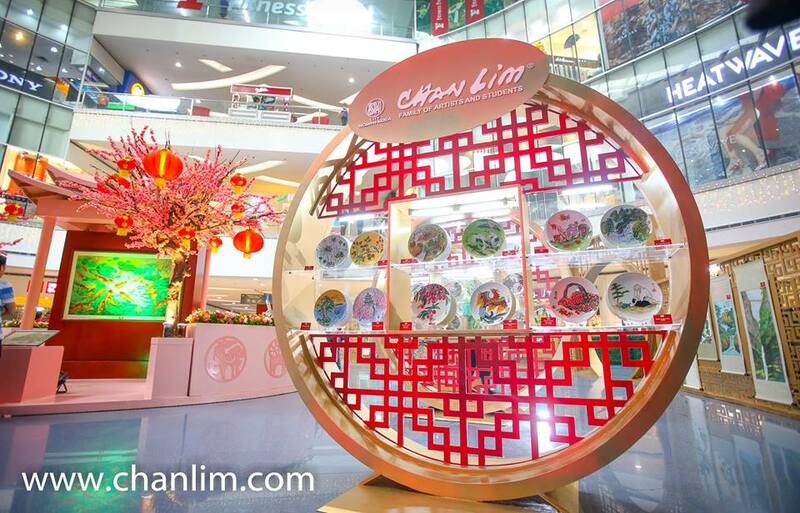 Witness the majestic exhibit and take part in celebrating a prosperous year ahead! Happy Chinese New Year! Disclosure: This is a sponsored post, but all opinions are my own. Read my blog’s complete Disclosure Policy here.